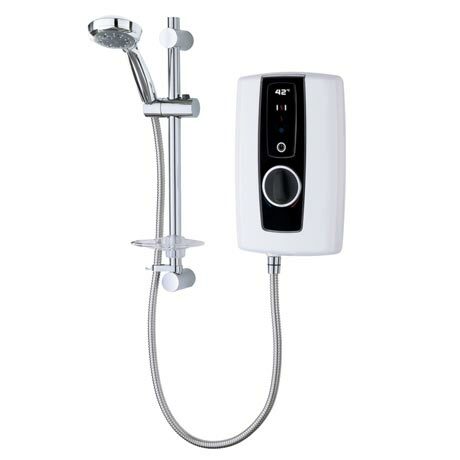 The new Triton Touch 9.5kw electric shower has easy to use touch controls with a clear, illuminated temperature read out. Coupled with the stylish, high gloss finish with an easy to clean flat screen. Triton showers are expertly engineered and rigorously tested. Electric showers and power showers comply with BEAB safety standards and our mixer showers comply with WRAS. Product is good luck in detail does not say what the water flow is per minute and I searched everywhere trying to find it this is caused me some concern but overall product is fit for purpose. Already own the same shower we have had no problems with so purchased identical product. "Not yet installed, but delivery rapid and beat competitors price hands down." "Solid build, simple design, and genuine universal fit"" which I was sceptical about."